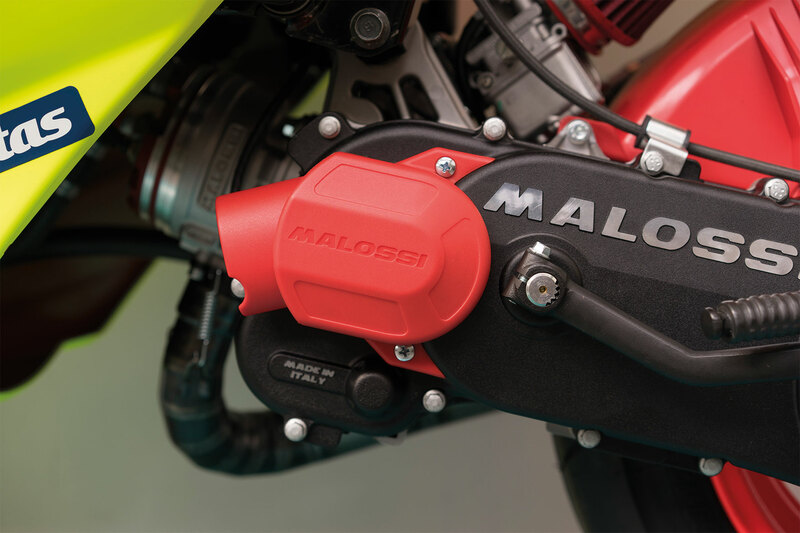 The range of Malossi engine crankcases now welcomes a new and precious addition: Air Force, the new engine crankcase compatible with C-One, RC-One and the original Piaggio extended crankcase. It's called Air Force because its strength lies in the ability of simultaneously allowing entry of a greater mass of air, channelling it precisely on the transmission components and increasing the engine’s capacity for hot-air extraction. 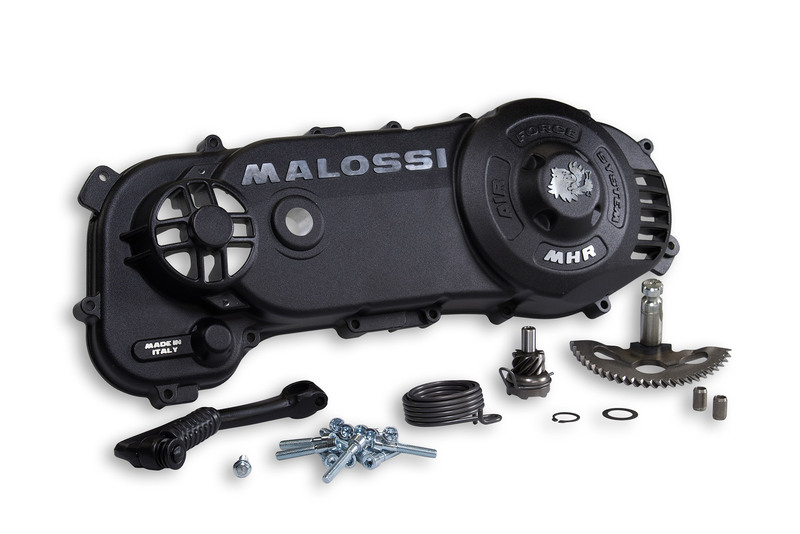 The advantage that comes with this combined ability is a significant reduction in the temperature of the Over Range compartment and consequently, improved stability and endurance of the transmission. Designed for die-casting, thanks to its structure, Air Force considerably increases the mechanical resistance of the whole assembly, providing an accurate and dynamic driving experience. 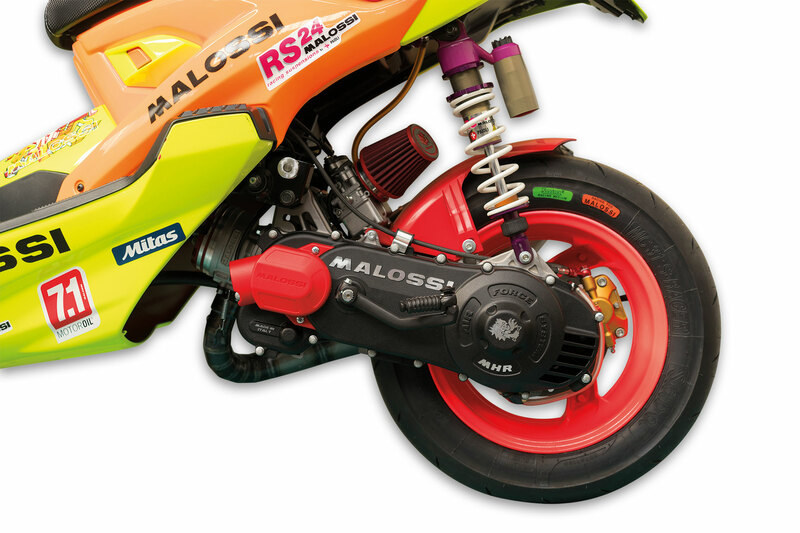 Lastly, its internal conformation frees up all the space needed in the back area for the clutch bell, significantly increasing the volume available for the transmission gear while also greatly reducing the lateral dimensions compared to the standard engine crankcase.